It’s time for the Avengers to assemble again in virtual LEGO form in the new LEGO Marvel Collection. 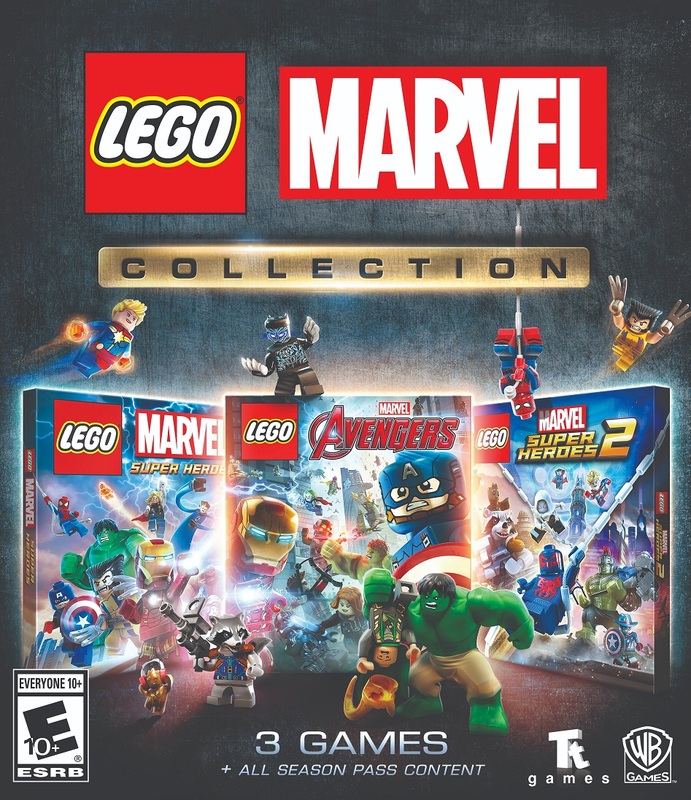 Warner Bros. Interactive Entertainment along with TT Games, The LEGO Group and Marvel Entertainment announced the LEGO Marvel Collection which brings together LEGO Marvel Super Heroes, LEGO Marvel Super Heroes 2 and LEGO Marvel’s Avengers games in one package. The new collection will also include previously released DLC such as Black Panther and Infinity War character and level packs for LEGO Marvel Super Heroes 2. In LEGO Marvel Super Heroes, players take on the role of their favourite Marvel characters Spider-Man, Iron Man, Wolverine, Thor, Captain America and the Hulk, as they assemble in a completely original story. Players will battle against some of the most menacing Marvel Super Villains, including dastardly Doctor Octopus, the ghastly Green Goblin, the ruthless Red Skull, the vicious Venom, Thor’s vexing brother, Loki, as well as the Devourer of Worlds, Galactus. LEGO Marvel Super Heroes 2 picks up directly where LEGO Marvel Super Heroes left off featuring a completely original branching storyline co-written by award-winning comic writer Kurt Busiek. This story brings together a diverse roster of iconic Marvel Super Heroes and Super Villains from different time periods and realities including Ant-Man, Black Panther, Captain Marvel, Cosmo the Spacedog, Cowboy Captain America, Doctor Octopus, Doctor Strange, Ghost Rider, Green Goblin, Groot, Gwenpool, Hawkeye,Howard the Duck, Hulk, Iron Man, Luke Cage, Ms. Marvel, Rocket Raccoon, She-Hulk, Spider-Gwen, Spider-Man, Star-Lord, Thor, and many more. Players can roam and explore 18 different Marvel locations within the incredible Open Hub World of Chronopolis, from the vibrant jungle of Wakanda to the pyramids of Ancient Egypt, along with Asgard, Attilan, Knowhere, the Coliseum, Hala, Hydra Empire, Kang’s Citadel, K’un-Lun, Lemuria, Manhattan, Medieval England, Noir New York, 2099 Nueva York, Old West, The Swamp, and Xandar. LEGO Marvel’s Avengers features storylines from the critically-acclaimed film Marvel’s The Avengers and its sequel Marvel’sAvengers: Age of Ultron and players can unlock more than 200 characters, including Black Widow, Captain America, Hawkeye, Hulk, Thor and Iron Man. The LEGO Marvel Collection will be available on March 12th, 2019 for Xbox One and PlayStation 4.